What's my Tribute home worth? What’s your ideal habitat? Is it spending a warm day on the lake switching between tubing, swimming and napping? Meeting your neighbor on your front porch in your PJ’s for a morning cup of joe? Soaking in all of nature’s gifts during a casual walk or a brisk jog? Hearing about your first grader’s engineering class while walking her home from school? Teeing off on a quiet and bright morning with lake, trees and friends as your only companions? Welcome to The Tribute – the ideal lakeside community for anyone who loves to get the most out of life. Situated on a secluded Lake Lewisville peninsula in The Colony, Texas, The Tribute captures the essence of a welcome refuge that’s never far from the hustle and bustle of the city. The Tribute has emerged as one of the best places in North Texas to live, work, and play. Several major companies (Toyota Motor Company, State Farm Insurance, Liberty Mutual Insurance, FedEx and Nebraska Furniture) are flocking to the North Texas area due to the prime real estate, excellent climate and thriving economy leaving hundreds of employees looking to purchase The Tribute Homes for Sale & Real Estate. The Tribute golf course community & lakeside living was designed for homeowners to find enjoyment in every single day. The peninsula is a golfer’s paradise, but non-golfers appreciate the clubhouses with onsite restaurants worthy of the fastidious gourmet and find another outdoor retreat in the nature trails. Beautifully landscaped canals throughout the development offer stunning views while enjoying your morning coffee. A resort-style pool and a separate kids’ spray park with nearby playground offer residents either a relaxing or exciting day in the water with family. With miles of winding, scenic hike and bike trails and hundreds of acres of wide open spaces, The Tribute was designed as a natural habitat made to endure, from this generation to the next. With so many unique floor plans and home styles its easy to see why so many people are flocking to the community. The Tribute is primarily pre owned, single family homes and is perfect for the first time homebuyer or a family looking to move up in size. The Tribute Homes for Sale & Real Estate ranges from around $400k to $1.8 million. 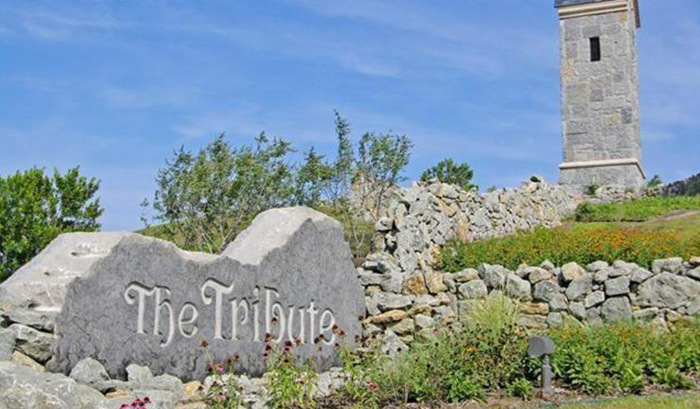 Information about The Tribute Homes for Sale and The Tribute Real Estate can be found calling or stopping by our office located just South of The Tribute in the master-planned community of Castle Hills. Stop by or call Renee Mears Realtors for a list of currently available homes in The Tribute. When looking to buy a home in The Tribute or sell a home in The Tribute it is always best to use an experienced The Tribute, The Colony Realtor. If you are interested in The Tribute Homes for Sale & Real Estate call Renee Mears at 972-489-0828. What’s my home in The Tribute worth? Amazing Gorgeous Spacious Custom Built Home in Tribute with 6 Bedrooms, 5 and a half Bathrooms. 2 Garages, extra Storage. BE IMPRESSED! Rich Harwoods, New Carpets, Granite counter Top in all Bathrooms, New Paint. Chef's Kitchen has oversize Island, Professional Gas Cook Top. Beautiful Fancy Master Bedroom and Bathroom. Nice Walk in Closet, Game Room upstair, Back Yard View from Balcony. Gorgeous Chandelier, 2 side walk up Stairs. Second Floor is completed with 4 Bedrooms, Game Room. The Tribute offers miles of nature trails, playgrounds, community pool and clubhouse. Must See!!!! Splash into Summer with this incredible Highland Home located in 2018 & 2019 Community of The Year - THE TRIBUTE! You will love the Designer Finishes - Extensive Hardwoods, Beautiful Light Fixtures, Huge Kitchen Island, Gorgeous Granite Countertops, Stunning Herringbone Backsplash, and an Outdoor Oasis. Your guests will be wowed when they see the Sparkling Pool with Tanning Ledge and Water Features. Treat them to a delicious meal at the Outdoor Kitchen with Bar, Refrigerator, Grill, and Green Egg! The Tribute features Miles of Lakeside Trails, Kayak Launch, Dog Park, Playgrounds, Beach Club, Year-Round Events, and K-8 STEM School - 2018 Model School. VISIT SPRING FESTIVAL SATURDAY 10-1-FOOD AND FUN! Warm and elegant Highland home situated on a corner greenbelt lot! Upon entering you'll first notice the renovations throughout starting with the extensive nail down hardwoods & dbl crown molding. The well-equipped gourmet kitchen is highlighted by a GE 5 burner gas range, GE dual convection oven, granite counter-tops with travertine backsplash + an oversized center island, perfect for gathering. The sophisticated master en suite features a stand alone deep soaker tub & luxurious walk-in shower.Don x2019;t miss the opportunity to host upstairs in the game & media rm. Escape outdoors under the oversized stamped concrete covered patio where you can enjoy mornings & evenings in your serene backyard.This home has it all! STUNNING BelClaire custom home located in The Tribute on Lake Lewisville in gated Balmerino welcomes you with lush landscaping and oversized walk up. Hand scraped hardwoods flow throughout the first level into a gourmet kitchen, walk in pantry, six burner cooktop and butlers pantry. Loads of upgrades, custom built ins, and spacious rooms. Master bedroom boasts two separate large closets. Don't miss the plantation shutters and large closets for plenty of storage. The third acre backyard has plenty of grass around the pool. 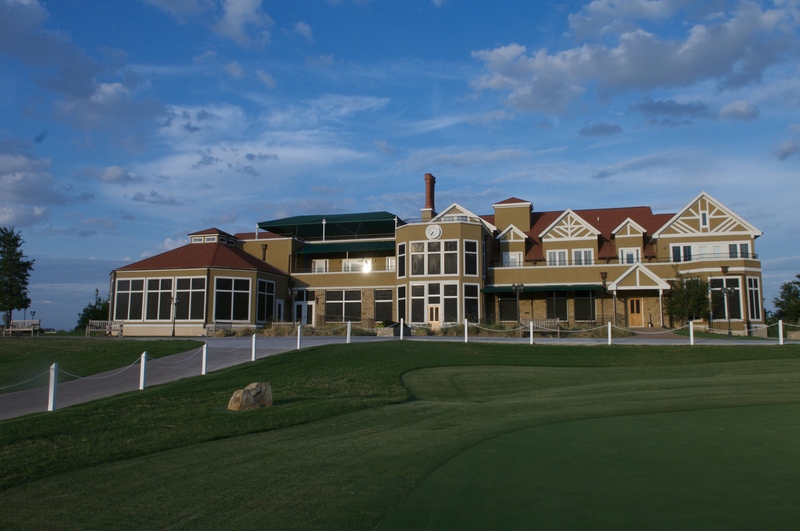 The Tribute offers golf courses, Old American restaurant, 15+ miles of shoreline paths, canoe launch & more. Situated close to the Star, shopping and restaurants. This beauty won't last long. New Grand Home May completion. Tribute w golf, pools, parks, playgrounds, miles of trails, Lake Lewisville. Prestwick STEM school. Open & bright 3200 sqft w formals, vaulted family rm, gameroom, & media room wired for surround. Tons nail down hardwood floors, curved full oak staircase w wrought iron balusters & cast stone FP. Entertainers kitchen white Shaker cabinets, sleek black granite tops with white marble backsplash, 5 burner gas cooktop, trash can drawer, stainless applis & island. Master Bath has omegastone slab vanities & carrera marble accented shower. Downstairs guest suite or study. Backed to greenbelt w lake views from upstairs. Energy Star certified & rated w R38, 16SEER & radiant barrier roof. 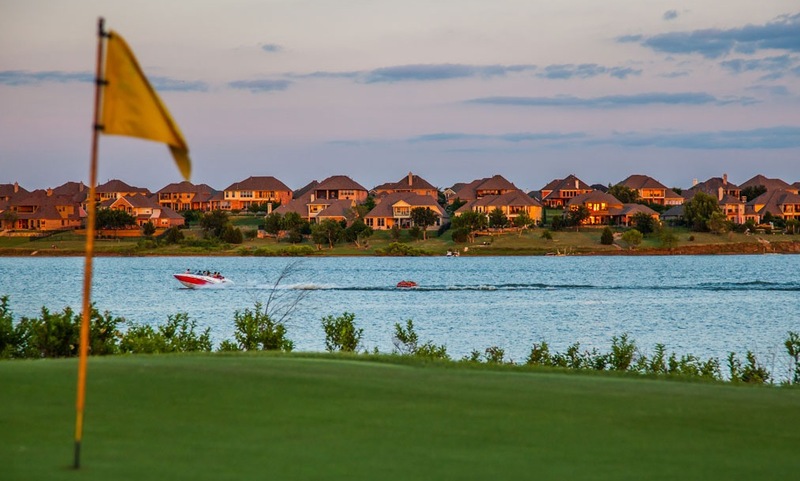 Lakeside living in the Tribute Golf & Resort Community! This custom Shaddock has just gotten a gorgeous facelift! Only 4 of these in the neighborhood. The entire home is freshly painted. Kitchen cabinets redone, level 6 quartz countertops, subway splash in kitchen, butler's pantry, upstairs bar, & quartz counters in desk & laundry. Lights in dining & breakfast are new. Master bath redone -lights, granite, cabinets, tile, shower & fixtures. Bath down with new tile, paint & quartz. Just some of the updates. Extra custom features - 2 FP, dual stairs, handscraped hwd up & down, wainscoting, desks, commercial stove, card room & bar. Study can be BR. It's all here - even upstairs balcony,3 car tandem & porte a coche! FABULOUS property in The TRIBUTE Lakeside Golf and Resort Community will be Love At First Sight! Step inside to abounding elegance & comfort with Expansive Foyer, Soaring Ceilings and Hardwood Floors~The Open Floor Plan offers a Study with french doors, Formal Dining Rm, Gourmet kitchen with Granite countertops, Stainless Steel appliances, Double Ovens and Gas cooktop~Spacious Family Room with cozy fireplace~ xD; xA;First level Master Retreat is at the back of the home for privacy~Flex Room can be used for Exercise, Music room or Library~Upstairs, two secondary Bedrooms, Full Bath and Game and Media Rm~OVER $60K in Upgrades! Enjoy 2 Community Pools, Nature trails~Award-winning Golf~K-8 STEM Academy~BEAUTIFUL sunsets! SINGLE STORY with POOL,SPA,OUTDOOR KITCHEN and LIVING AREA !! Over the top upgrades... Pool is only a year old with Ozone feature, nail down hardwood floors, plantation shutters throughout, 8 ft solid core doors, stainless appliances, double ovens, tankless waterheater, 16 seer AC, built in hutch, planning desk, travertine pool deck, pergola, 5 water features on pool, built in grill, speaker system throughout, play room between the split secondary bedrooms, and fully landscaped front and back. This well designed floor plan is immaculate and shows like a model home !! The Tribute has two golf courses, miles of hike and bike trails,nature preserve, marina is being built and K-8 Stem school is walking distance. What's my home in The Tribute worth?